Many scholars of religion have attributed the inventive and highly sophisticated systems expressed in gnostic literature to the influence of Greek philosophy without explaining their reasoning, except to make broad statements such as A. D. Nock’s claim that gnostic texts are “Platonism gone wild” (Gedaliahu A. G. Stroumsa, Another Seed: Studies in Gnostic Mythology, 17). The diversity of the texts in consideration and the obvious syncretism of influences aside, such a generalized assumption regarding any constellation of related texts would normally be irresponsible from an academic perspective. Yet, there is no one left to defend the heritage of the gnostics from the perpetual disinformation that is the heresiologists’ legacy. “To be sure, the negative theology that follows can be accounted for without recourse to Judaism, that is, with reference to contemporary Platonist philosophy. And there is no question at all that Platonism was an important influence on the development of Gnostic dualism and Gnostic notions of God’s transcendence. 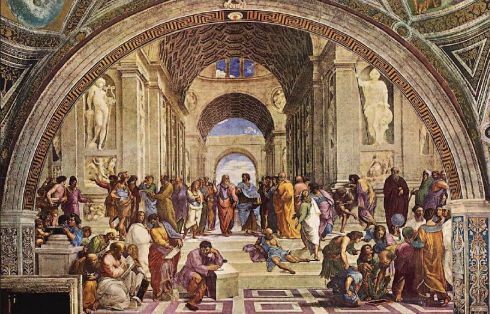 Nevertheless, I would suggest that the Platonic elements in Gnosticism were mediated by Hellenistic (Greek speaking) Jewish philosophy, such as was espoused by Philo of Alexandria. For example, in his treatise On Dreams Philo refers to God as ‘unnamable,’ ‘ineffable,’ and ‘incomprehensible’ (ch. 167). All three of these terms are reflected in the Coptic text of a single passage in the Apocryphon of John (BG 24, 2-6)” (Pearson, Ancient Gnosticism, 105). For Pearson, then, the example of negative theology in Apocryphon of John, as well as the broader “Gnostic” traits of a transcendent God and cosmic dualism, are all drawn from “contemporary Platonism”, although “mediated” through the Alexandrian Jewish thinker Philo. However, as I will demonstrate, it is precisely the elements of negative theology which may reveal the most significant difference between Platonism and gnosticism, calling into question the assumed dependence gnosticism has on the former. And, although the traits can also be found in Philo, a Hellenistic Jew, I will demonstrate that his own use of negative theology developed from his understanding of Judaism, not Platonism. For this series, the definition of terms must be discussed once again. Prior to the discovery of codices and fragments at Nag Hammadi in 1945, scholars largely outlined “Gnosticism” according to heresiological reports and medieval dualistic systems, taxonomies that continue to shape the conversation. Despite the fact that textual variety resists simple labeling, many scholars continue to discuss definitive “Gnostic” systems, as Pearson did when referring to a “Gnostic religion”. For this study, I will focus on the literary trend of “gnosis”, defined here as salvation granted by the ineffable god in the form of divine revelation, “acquaintance” with an otherwise “secret” and unattainable truth. Another concept that must be defined for this discussion is “negative theology.” Although traits of negative theology can be witnessed in Philo, Apocryphon of John and elsewhere, Pseudo-Dionysius (5th/6th century) was the first Christian to develop a system (the “sacred science of theology”), distinguishing “between what he called kataphatikē (towards speech), and apophatikē (away from speech)” (Deirdre Carabine, The Unknown God, 2). Cataphatic speech seeks understanding of God (however limited) “by attributing all the perfection of the created order to him as its source”, while apophatic speech “affirms God’s absolute transcendence and unknowability” (Deirdre Carabine, The Unknown God, 2). Negative theology generally uses both positive and negative categories of speech together in order to undermine assumptions about the efficacy of a linguistic understanding of God. Forms of negative theology can be witnessed among the church fathers (for example, Tertullian argued that God is only known to himself, yet makes himself known to us through “grace”, Apologeticus §17), Christian mystics of the Middle Ages and among the Neoplatonists, although few examples predate the second century, as we shall see. In the following series, I will use the description of the monad in the revelation scene of Apocryphon of John as an example of gnosis and negative theology. Apocryphon of John exemplifies the classic “Sethian Gnostic” myth popular among scholars for characterizing a “Gnostic religion”, containing concepts such as the immortal soul and its connection to God, the heavenly journey towards God, cosmic duality, the importance of knowledge acquired from the upper realms and the appearance of a “demiurge”, all of which, according to these scholars, can be attributed to Platonic influence. I must constrain this inquiry, however, so that the focus will remain on my simple definition of “gnosis” and the corollary understanding that God must be fully transcendent and ineffable, only accessible through revelation. By exploring the history of negative theology in Platonism, I will demonstrate how gnosis is a theological concept untenable in Platonic thought prior to Plotinus, the third century Neoplatonist undoubtedly influenced by Alexandrian thought. The history of Platonism, even at its most mystical, is primarily concerned with what is knowable. Gnosticism, in all its forms and derivations, focuses on gnosis, knowledge of the unknowable, only accessible by revelation. It is my task to explain how the contrast between knowable and unknowable categories of thought hinders a simple characterization of gnosticism as dependent on Platonic categories of thought. This inquiry will use Bentley Layton’s translation of the combined “long version” manuscripts NHC II and NHC IV (hereafter referred to only as “NHC II” for short), focusing primarily on NHC II 2-4 for descriptions of the gnostic deity. The following post will look at Apocryphon of John, followed by a survey of Platonic and Middle Platonic thought in regards to negative theology. I will then discuss Philo of Alexandria and, in a final post, come back to a discussion of all these elements to expand on what I have said in this first post. Please let me know what you think. I’m a gnosis geek and would like to meet others who are into gnosticism!